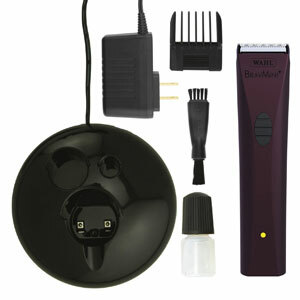 Does The Wahl BravMini+ Professional Cordless Pet Trimmer Provide The Finish That Buyers Are After? The Wahl BravMini+ Professional Cordless Pet Trimmer looks like your typical dog clipper, with a nice user-friendly design. This is a cordless model with 100 minutes of operation and a 2 hour quick charge, thanks to the new NiMh battery. It is also a smaller model at 5.5’’ long and 4.5oz in weight, which suggests easy handling. It is designed for ease of use for all over trimming, but is this the case? 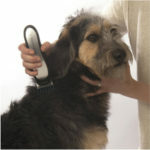 How beneficial has this Wahl BravMini+ Professional been for dog owners in need of a reliable model? 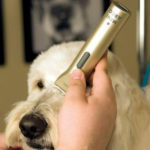 The first place to start when reviewing this cordless dog grooming clipper is with the promise of it being dog-friendly. The specification talks about it being cool running and “exceptionally quiet”, with minimal vibration from the blades. 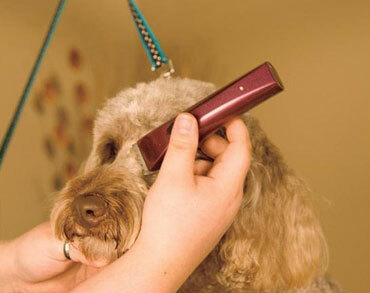 This means that there are no worries about dealing with delicate areas like face and feet, and nervous little dogs should be able to get their show cut with ease. There are a lot of dogs behaving nicely around the clipper, which suggests that it ticks all three boxes nicely. Then there is the ease of use for the owner. 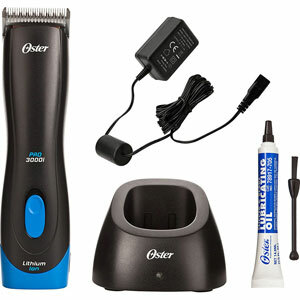 This starts with the promise that this glides through the coat for an easy cut, at 5350 strokes a minute. This is not disputed and there are few issues with time management and matted hair. Added benefits here are the accessories. The Wahl clipper comes with the 5 position comb, snap-on #30 trimmer blade, charging stand, blade oil, cleaning brush and instructions. The blade oil is sure to help with the cool, quick cuts and the comb will make styling the hair a lot easier. 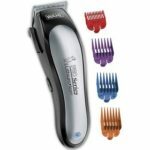 Are there any important limitations with this Wahl BravMini+ Professional Cordless Pet Clipper that affect its appeal and performance? It is not hard to notice that there is a large number of reviews that highlight the ease of use on those difficult areas like paws and faces. While this shows a clear selling point to the model, it also highlights a big issue. The problem here is that the result on the body and rest of the fur isn’t as good. Therefore, some see this as an additional tool to have in the arsenal alongside a more substantial dog clipper system. The other issue is the fact that the battery cannot be replaced. This is a problem when the battery dies for good or there is a fault – such as faulty goods not holding their charge. There have been a few users noticing that the LED indicator won’t go green. Summary: what does this limitation mean for the final verdict on this Wahl BravMini+l Cordless Trimmer? Overall, this is still a very good clipper for finishing work. This is clear from the many 5 star comments on the great results on the paws and face. This aspect of the performance is only enhanced by that small, ergonomic design and the way that the dogs respond to the device. 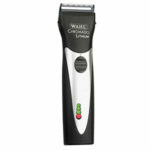 There is no doubt that this Wahl dog clipper is clean, gentle and efficient and still recommendable to many groomers. If it had this effect across the whole body, buyers would surely be more inclined to give it the full 5 stars. Find more reviews about the Wahl BravMini+ Professional Cordless Pet Trimmer on Amazon here.